Only Halloo delivers live call control through a Rich Internet Application, requiring no plug-ins or additional software. The Web-based Agent Console shows the status of active and queued calls, displays the log-in and on-phone status of other agents, and allows agents to pick-up, drop, transfer, conference, or reject calls. Supervisors can also monitor or join calls as needed. Considering a hosted phone system for the first time? Learn what factors you should consider before choosing a service for your business. Halloo Communications FlexCall Center eliminates the major obstacles and expenses involved in establishing, managing, and expanding the call center function for companies that require 4 or more active agents. All you need is your Internet browser. Installation is virtually instantaneous (and our support technicians are ready to guide you through the simple process). You never have any expensive hardware to purchase. There is no complicated software to download and no software upgrades to manage. Halloo manages upgrades, growth and capacity, so you never have to worry about maintenance costs or outgrowing your system. Set-up and operation of your call center can be done using either your browser or a telephone—we've taken the complication out of implementation. Being Web-based also allows you to rapidly form and manage your team regardless of location. The system routes calls efficiently to your agents at their own phone lines, wherever they may be. You can reconfigure, monitor, and manage your team on-the-fly from anywhere—all you need is an Internet connection. This is no repackaged, off-the-shelf product. Halloo Communications has built this industry-leading solution from the ground up. We have drawn on the experiences of thousands of users to provide a Rich Internet Application and intuitive user interface that sets a new standard in the industry for ease of use. 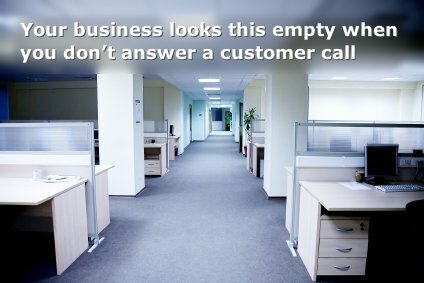 FlexCall Center™ is designed to provide the highest level of reliability in the industry. The application is built on top of the industry's most reliable software platforms. We're tied into the major tier-1 networks and offer triple redundancy by running at multiple data centers. In addition, our technicians monitor the system 24/7 to anticipate and handle any issues that could potentially arise—assuring maximum up-time. The best way to fully appreciate the ease of use, flexibility of administration, and freedom from the hassles or expenses associated with a traditional call center, is to experience a demo and see for yourself. Plans start at $199.95 per month for one supervisor and three agent seats, three queues, and two mailboxes. The basic plan includes 1,000 prepaid plan minutes (usable from and to the 48 US states). Additional agent seats are available for $19.95 per month and supervisor seats are $24.95 per month. Out-of-plan minutes are 3.9 cents per minute. All call center plans have a $150 setup fee. Changes to your plan may incur a change fee. Contact the Halloo Service Center to speak with one of our advisors for more information. The plan is expandable as your company grows agent by agent. Call us at (888) 238-3822 to speak with a FlexCall specialist. Find out how Halloo can improve your call center today. How many customer service reps do I need?